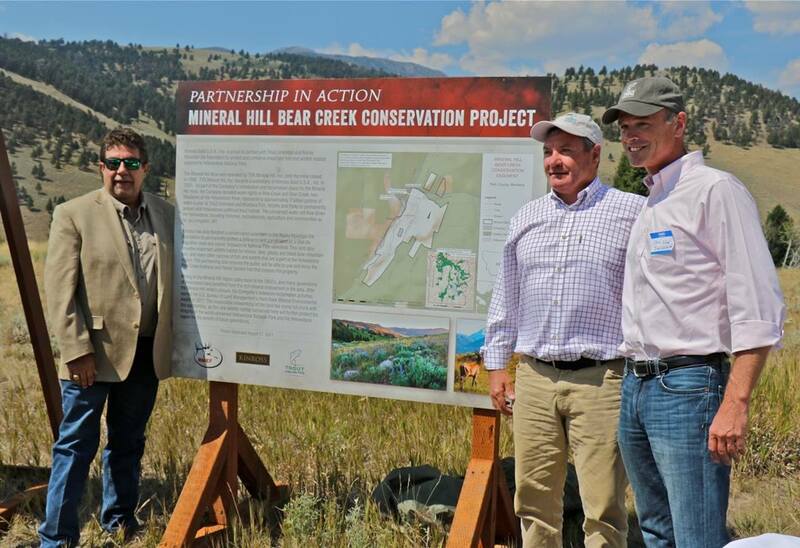 In the spirit of responsible mining and a strong commitment to environmental conservation, Kinross Gold partnered with Trout Unlimited and the Rocky Mountain Elk Foundation to announce an agreement to protect and conserve important fish and wildlife habitat adjacent to Yellowstone National Park. As part of its remediation and reclamation plans for the Mineral Hill Mine, a subsidiary of Kinross donated water rights representing approximately three billion gallons of water to Trout Unlimited to permanently protect vital fish habitat in tributaries of the Yellowstone River. It also reached a conservation easement agreement with the Rocky Mountain Elk Foundation to permanently protect a 549-acre land corridor used as an important elk migration route and scenic Yellowstone National Park viewshed. “Last year’s fish kill and emergency closure of the Yellowstone River underscored the importance of making our rivers more resilient. This agreement will help keep more water in the river, providing cooler temperatures in the height of summer and better habitat for fish and wildlife. It is great to see a company such as Kinross understand that healthy fisheries are the lifeblood of the West. Trout Unlimited is excited to see such a partnership provide lasting benefits to both the river and the communities that depends on it,” said Chris Wood, Trout Unlimited president and CEO. Mining in the Mineral Hill region dates back to the 1860s, and many generations of Americans have benefited from the rich mineral endowment in the area. After the Mineral Hill Mine’s closure, the Company’s extensive reclamation activities earned the U.S. Bureau of Land Management’s Hard Rock Mineral Environmental Award in 2011. Today, the responsible stewardship of the land has come full circle with this agreement, as fish and wildlife habitat conserved here will benefit future generations.